What could your business do better if you digitally transformed? In today’s fast-paced, hybrid IT world, being at business speed means overcoming IT complexity to match the speed of actions to the speed of opportunities. Modern IT should be adaptive, programmable, and consumable. It’s time to find your right mix of hybrid IT. Wave goodbye to traditional data center infrastructure. 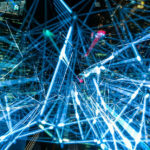 Rather than having separate enterprise storage, network, and compute, IT leaders are now turning to Hyperconverged Infrastructure (HCI) to break down these silos to not only combine them into a single system, but meet the growing demands of enterprise applications and today’s fast-paced modern business. HCI simplifies datacenter operations and streamlines the deployment, management and scaling of data center resources. Separate servers, storage networks, and storage arrays can be replaced with a single hyperconverged solution to create an agile datacenter that is easily scalable as your business grows. Interested in learning how you can reduce data center complexity and increase scalability? Contact us and our HCI experts will help determine if it's right for you. Cloud adoption is critical to any IT transformation effort. High-performing organizations focused on responsiveness and time-to-value, as well as those looking to cut total cost of ownership, achieve results with hybrid cloud. With cloud, it’s never been easier—or faster—to deploy applications. Your business can innovate faster, reduce risks and adapt to ever-changing business needs using proven hybrid cloud and multi-cloud strategies. Too many businesses are still manually managing their network. SD-WAN solutions enable distributed enterprises to build a better WAN, or wide-area network, securely connecting users to applications without compromising application performance. The value of a foundational SD-WAN on its own is clear. It is not only a huge time save for organizations, but increases business agility and boosts performance. It also enables IT to deploy new applications more quickly to accelerate time-to-value. WAN is about offering a complete range of hardware, software, and cloud-based solutions that provide secure, reliable virtual WAN overlays to connect users to applications. Let us help you achieve your business objectives.